Had to hide the bag! Marianne candy is so delicious that I had to hide the bag from the family before it was all gone the same day it arrived! I had first tasted it in Finland on a trip and was hooked on the wonderful mint and chocolate flavors after one bite. I'm very satisfied with the speed and quality of the customer service. Love Marianne candy. Glad i know that it's so easy to purchase. 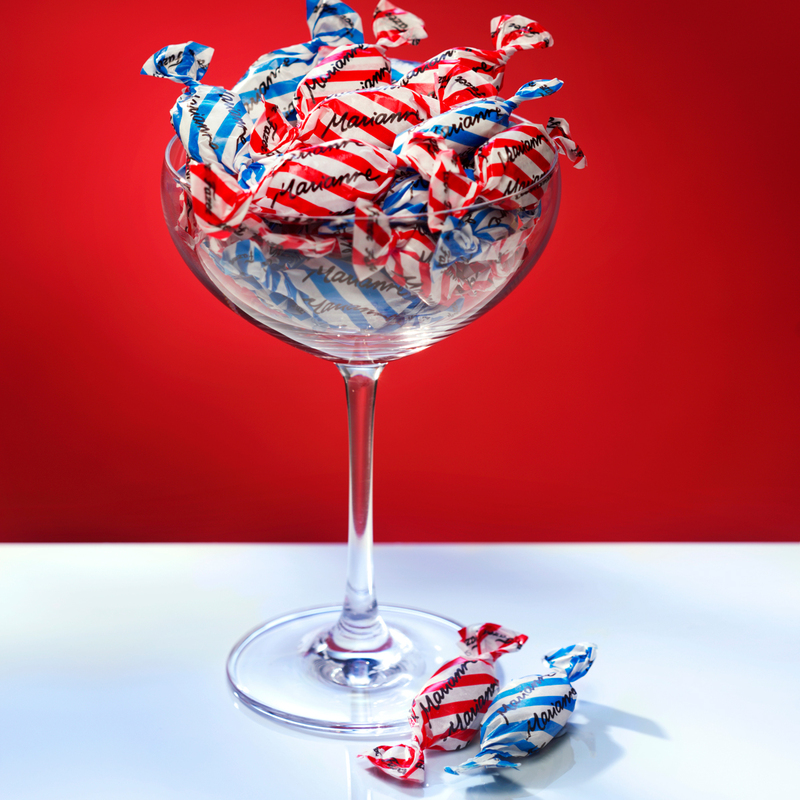 Love these pretty little wrapped candies (and they're delicious, too)! With the red and white wrapper, they look particularly festive set out for the holidays. I look forward to having these around the house every Christmas! I've also used these as small hostess gifts, or if a friend needs a pick-me-up, and they are always a hit. I love the thin crispy minty shell and the chocolate inside is perfectly balanced; not too sweet and oh so creamy! the candy from my native country. These have to be the best candy on the planet! The mint shell surrounding the creamy dreamy dark chocolate... the Best! These candies literally melt in your mouth, and when they do, you'll be rewarded with a rich taste of chocolate. Also, my girlfriend's name is Marianne, so what's not to like? These are a kick back to my time in Finland and they do not disappoint! Crispy minty shell and delicious, creamy dark chocolate in the center. Incredible combination! A sweet chocolate filling wrapped in delicious mint. They are wonderful. All my American friends LOVE this candies. The combination of the hard mint shell and the fab Fazer chocolate inside is unbeatable. I give these as gifts all the time. ProsSo very, very good. Put one in your mouth and wait for the candy shell to break and the chocolate to ooze out; heaven. I remember my grandmother having these when I was younger. These are absolutely delicious and look great in my small iittala dewdrop bowl! These are definitely best price anywhere! ProsDelicious, best price, beautifully wrapped. New packaging is very nice. Of course these candies are so delicious!!! Such a great candy on it's own and super to use making peppermint bark. They were fresh and delicious. Fast shipping. Favorite candies from my childhood. Will be ordering again! ProsFast shipping Fresh product Delicious! The chocolate surprise inside the mint is out of this world. Marianne candies are such a treat! great service, if you like mint, then you must try this candy. Great taste. The BEST mint chocolates EVER!!! I had these when we were on a trip to Stockholm and found them in a duty free store. I bought a huge box and finally found them here. The hard thin mint shell and the delicate chocolate center are an amazing combination and sure to please. They are addicting, so expect to buy a couple or more bags. They have always been my daughter Marianne's favorite candy, deservedly so! 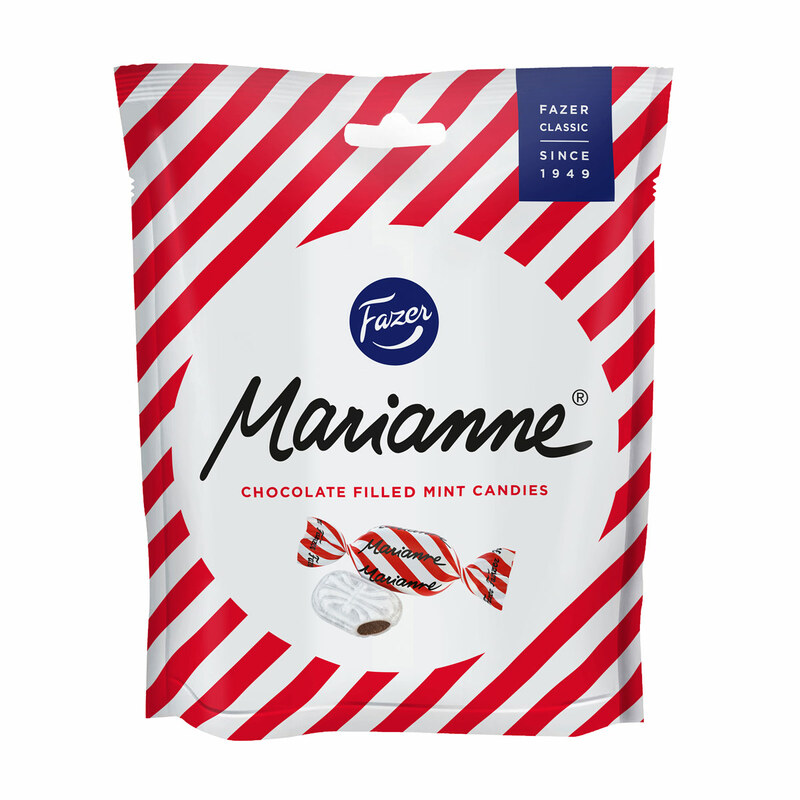 Bought all three; Fazermint Chocolate Creams (bulk box), Fazer Marianne Mint Candy Bags, Fazer Marianne Toffee Mint Candy Bags. I mix them up and make a variety gift bag for when I'm invited as a guest at their home, theater, restaurant, trips, bowling...you get what I do. Everyone loves the little nice mint treat. My favorite - can't get enough of these mint and chocolate candies. Hard mint candy on the outside and chocolate on the inside is a perfect combo. I just need one after dinner! I originally bought them out of intrigue but when my mother saw them, I was thrilled. She remarked how she hadn't had them in a long time and they really put a smile on her face. I can leave them in a dish on the counter but because of the texture combo, no one scarfs them down, and they last a while. 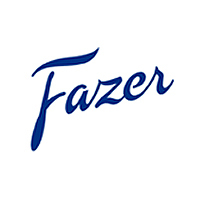 I bought Fazer products for myself and friends. I have been looking for these mints for some years. I used to get them at a large Scandinavian distributor (and I was willing to make the 2-hour drive north for them! ), but they were discontinued quite a while ago. So needless to say, from a true peppermint and chocolate connoisseur, these mints are delicious and I love that I can find them again. Finnstyle was very prompt and efficient in their responses, packing the correct order and shipping the order, and I believe I received my package of chocolate peppermint bliss within 5-6 days of placing the order. I expect to pay shipping on a smaller order, and the costs were reasonable. I am a happy customer! Thank you! And of course, please keep carrying these mints and other yummy fine European items!! These are so yummy with their hard crunchy minty core and soft chocolate belly. They are even pretty to look at! ConsA bit high priced but cheaper than a trip to Finland! A Swedish friend gave me one and I immediately ordered several bags to share with friends. Delicious. This candy is the best. I love it and everyone I give a piece loves it too. Keep selling it. 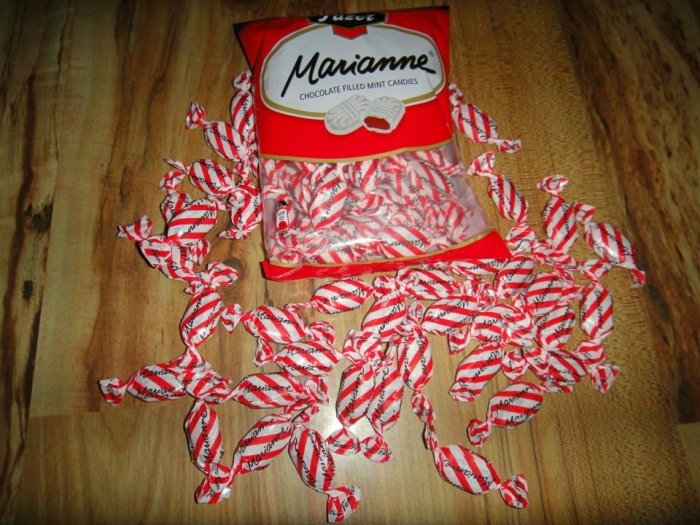 I started eating this candy when I lived in Finland, and can never get enough! There are many great Scandinavian candies, but this one may be the best! The hard candy shell and the slightly minty chocolate inside are a killer combination! Used to buy them on Amazon, but they are cheaper and fresher here on FinnStyle! Once you try them, you are going to start watching FinnStyle for candy sales, guaranteed. this is my favorite candy. every time I go out with friends they are always expecting me to have some with me for treats. once you get to the chocolate, it is heaven. These candies are delicious! They are subtle mints with a delicious chocolate center. I brought them in to my office to share and the whole bag was gone in 10 minutes! These are the best mints I have ever had. Learned of them from an exchange student from Finland that we had in 1988. I love these mints. I am originally from nland and I learned to love this candy11 I still do and now I can buy it in the USA. Thank you. 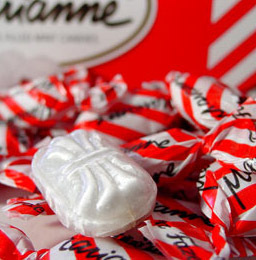 I grew up in Finland, and as a child I loved these minty little delicacies! only had the best price, but shipped super fast! ProsNot overwhelmingly minty, delicious chocolate on the inside! ConsThe wrappers prevent me from getting to them faster. THESE CANDIES ARE TO DIE FOR! MY WIFE MARIANNE AND I FIGHT OVER THEM! I HAVE TO HIDE THEM FROM HER. ProsBEST HARD CANDY I EVER HAD. ConsWHAT'S NOT TO LIKE. PRICE IS HIGH BUT SO IS THE QUALITY. SAVE FOR SPECIAL OCCATIONS. how many pieces are in each package?